Experience the finest apartments in Santa Rosa Beach, Florida at TerraMar. This Mediterranean-inspired oasis offers luxurious living at affordable prices. If you are looking for a one, two or three bedroom apartment home, TerraMar is sure to fit your needs. Whether you enjoy relaxing by the resort style swimming pool, exercising in the health club or simply walking your dog in the bark park, you'll feel as though you are on vacation every day. TerraMar is located in Santa Rosa Beach, just minutes from Destin and directly across the street from Topsail Hill Preserve State Park. 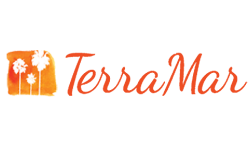 Visit TerraMar Apartments in Santa Rosa Beach today!